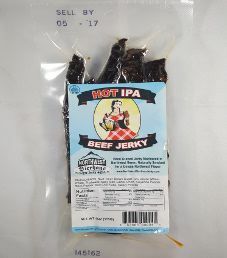 The next review for Northwest Bierhaus Jerky will be on a 4 ounce/113 gram bag of their Hot IPA flavored beef jerky. This flavor is described as blending the bold aroma of bitter, flavorful IPA beer with the spicy “WOW” of premium cut beef. The bag was kindly submitted for review by the owner, Glenn Loehr. 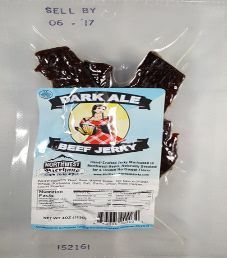 The next review for Northwest Bierhaus Jerky will focus on a 4 ounce/113 gram bag of their Hot Dark Ale flavored beef jerky. 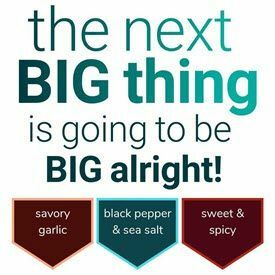 This no nonsense flavor of tender jerky is advertised as having a dark rich flavor that is hot and satisfying. The bag was graciously submitted for review by the owner, Glenn Loehr. 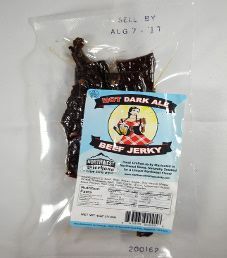 The next review for Northwest Bierhaus Jerky will be on a 4 ounce/113 gram bag of their Dark Ale flavored beef jerky. This Dark Ale flavor is described as being hearty tasting with a high quality nutty flavor. The bag was kindly submitted for review by the owner, Glenn Loehr. 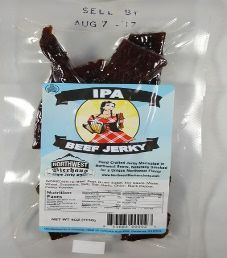 The first review for Northwest Bierhaus Jerky will be on a 4 ounce/113 gram bag of their IPA flavored beef jerky. This India Pale Ale flavor is described as having golden hops. The bag was graciously submitted for review by the owner, Glenn Loehr.